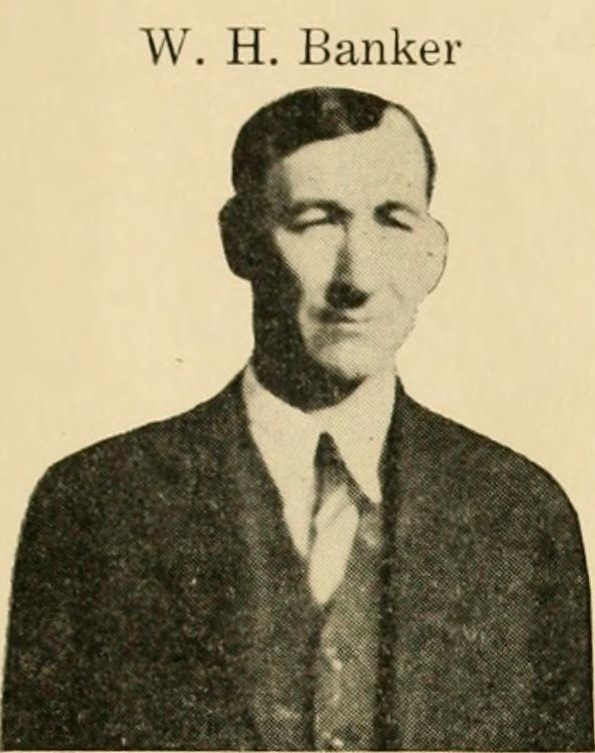 W. H. Banker was born in Wayne county, January 22, 1884, came to Clay City in 1911 and engaged in the hardware business in the room now occupied by the Advocate, later moving to the room occupied now by Wiltsey & Wiltsey. In 1918 he sold out and was employed with the Clay City Lumber & Hardware Co. until October, 1926, when he became a partner with R. E. Duff in the grocery business. Mr. Duff sold his interests to Henry Weiler, March, 1929, and since, the firm has been Banker & Weiler, located in the south room of the Odd Fellows building. Herschel has associated with the public in a business way for the past eighteen years and because of his congeniality, courtesy and square dealing he has continuously made new friends — everybody likes Herschel. When everybody you meet is wearing a grouch and seem unfriendly, try Herschel; he'll be smiling. Extracted 12 Jun 2017 by Norma Hass from 1930 Pictures and Biographical Sketches of the Business Men of Clay City, Illinois.